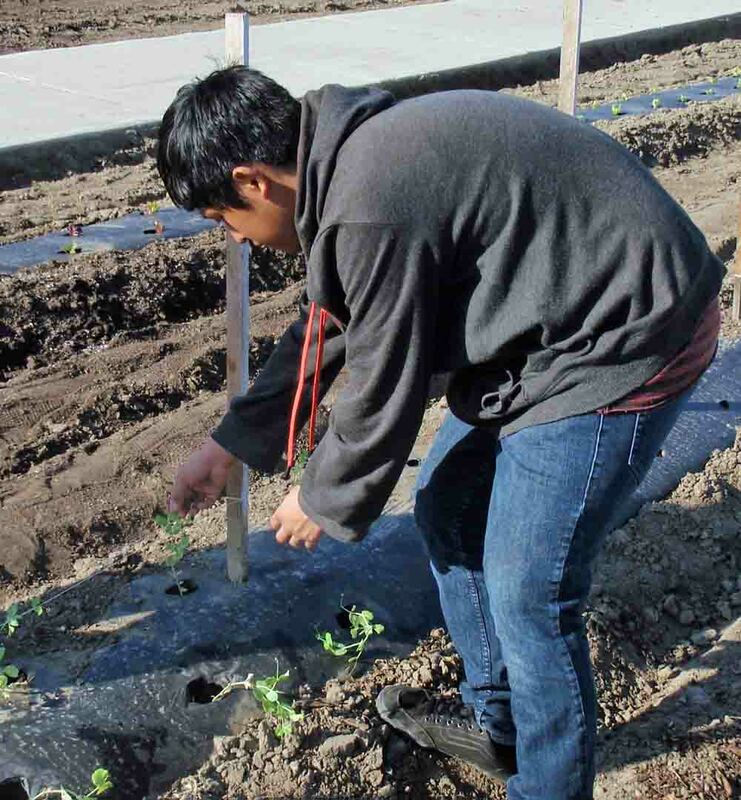 Buena Park ag students are working hard in their garden. They are planting snap pea, carrots and other winter as well as late spring veggies in their large garden areas. Students are working with local food and grocery stores to sell their homegrown, organic fruits and vegetables. The students currently sell the produce and fruit in their student store on Wednesdays and at the Buena Park Farmers' Market but want to widen their exposure and customer base. 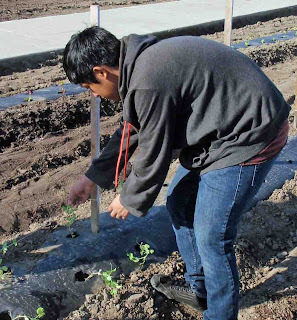 Twenty-two students enrolled in the BPHS Ag Ed/Ag Science classes are receiving college credit at Mount San Antonio Community College concurrently with their high school ag studies. Credits for coursework in Ag Science, Horticulture and Vet Science will transfer to the undergrad/associate's program at Mt. Sac. So far the 22 students have accumulated 76 college credits and will begin their college careers at Mt. Sac when they graduate. 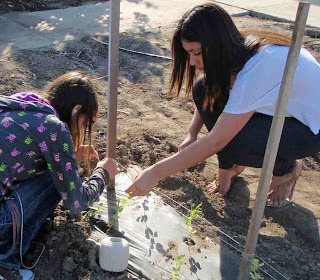 Shown here stringing and securing garden peas are Edgar Casiano (a junior who is in his second year in the ag science program); Sonia Ramirez (in the white t-shirt, also a junior in her third year in the program) and Sharise Jaso (in the sweatshirt, a junior in her third year in ag science). Each of these students intend to stay in the ag science program through their senior year and Sonia is also participating in the college credit program being offered through Mt. Sac. Agromin, producer of premium organic soils and mulches, is the corporate sponsor of the farm and ag ed program at the school and provides the soil and mulches the students use to grow their products.